Are you a new or social enterprise, established charity, voluntary or community organisation ready to grow? Do you need investment and support? Big Lottery Fund’s new £10 million fund is aimed at eligible voluntary, community and social enterprise organisations (VCSEs) to improve their sustainability, capacity and scale and help them deliver greater social impact for communities across England. VCSE’s who are aspiring to raise social investment up to £500,000 can apply for grants between £20,000 and £75,000 in total to undertake more in-depth investment readiness work with us, as a Big Potential approved provider. VCSE’s may apply first for a preliminary grant to undertake development work with a provider of their choice; and then apply for another investment plan grant when the VCSE and their provider know that an investment deal is in sight. Organisations have access to a brand new Big Potential website with fantastic learning and development content and in-depth information on social investment including case studies, guides and a fully automated diagnostic tool. At fresh, we bring together the best of business theory, good practice and real-world experience and deliver it in a way that is clear, easy to understand, enjoyable and rewarding. Investment readiness is core to all we do. We define it to be when an enterprise is ready, willing and able to do what it promises, in return for the funding it seeks. We are social entrepreneurs who have founded and run social businesses, charities and community groups. Our approach is practical and relevant because we deal with the challenges of investment readiness in our own organisations. We have a strong track record in business planning, governance, financial planning and social investment with the skills, knowledge and experience to best position you for a successful fundraising programme and a sustainable organisation in the longer term. 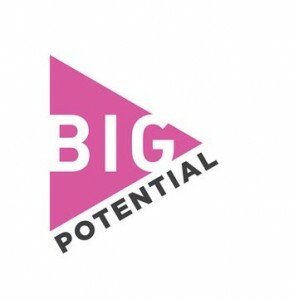 The first stage of the Big Potential journey is for you to visit the Big Potential website and complete the eligibility checker and diagnostic tool. If suitable, you will be invited to a more in-depth session with a support adviser after which you will be able to team up with an approved provider.